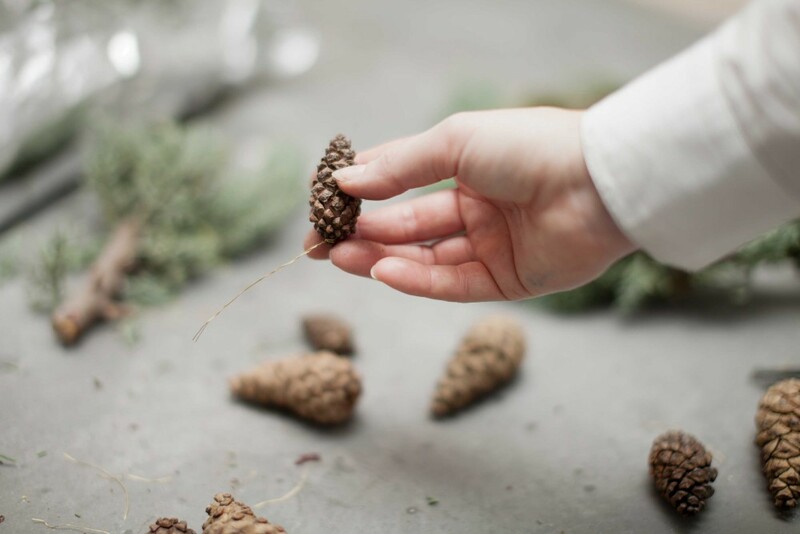 Growing up, my father used two bring me and my to sisters out in the woods to find branches and pinecones to make a christmas wreath to put on our front door. 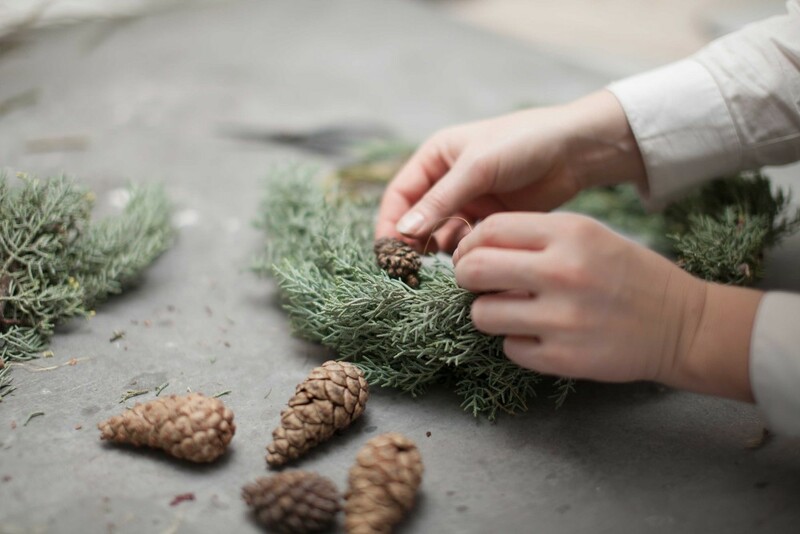 I have such sweet memories of sitting around the kitchen table and make the wreath together while listening to christmas carols. 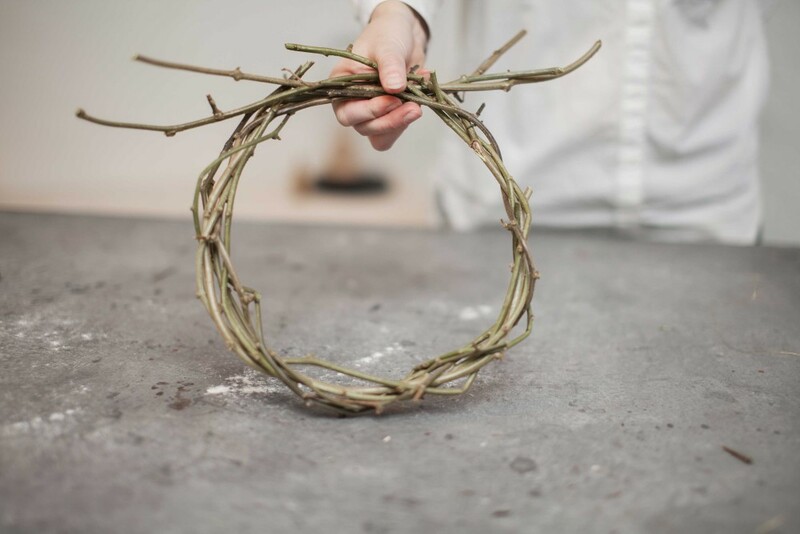 In honour of that tradition, I made this christmas wreath of natural materials, and below is a tutorial on how I did it. 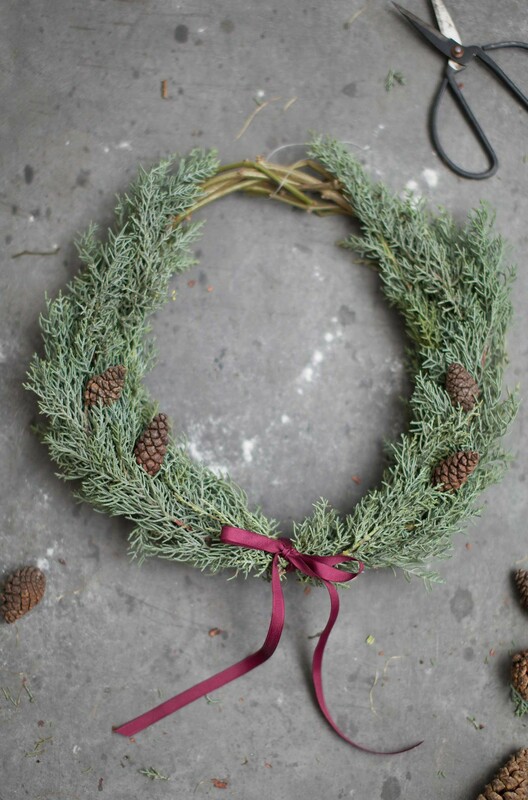 Note that the lengt and amount of branches depends on haw large and thick you want your wreath. I used about 8 bendy branches of 80 cm each. I used about 20 branches of tuja. 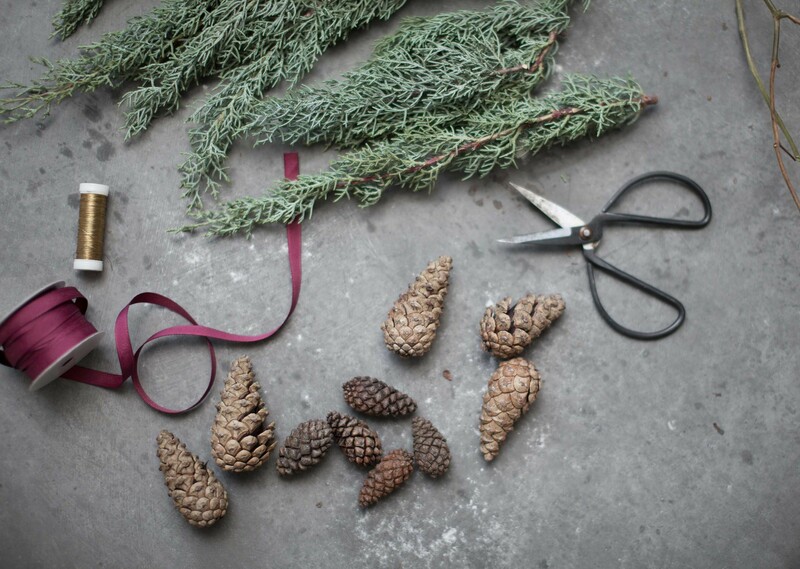 1 — Start by cleaning up your bendy branches by cutting away small twigs. Then start twining them together into one larger piece. This will become the base or frame of the wreath. 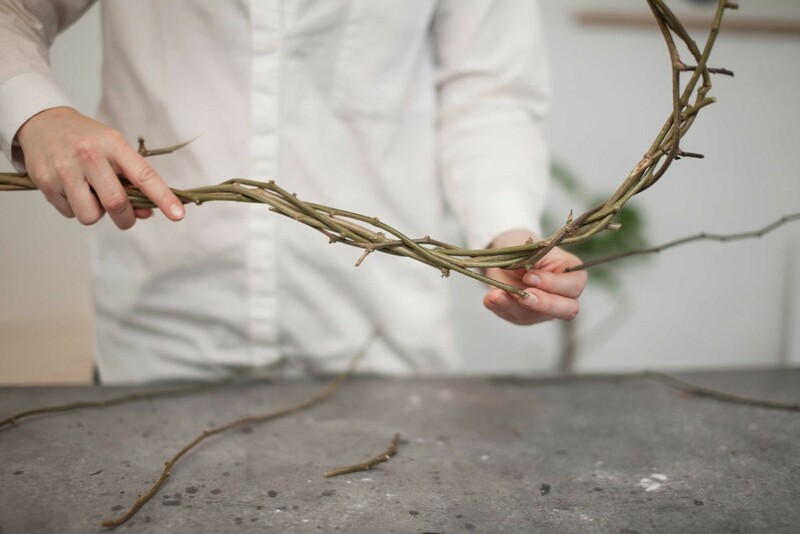 2 — Curve the branches round to a circle, and secure with florist wire. 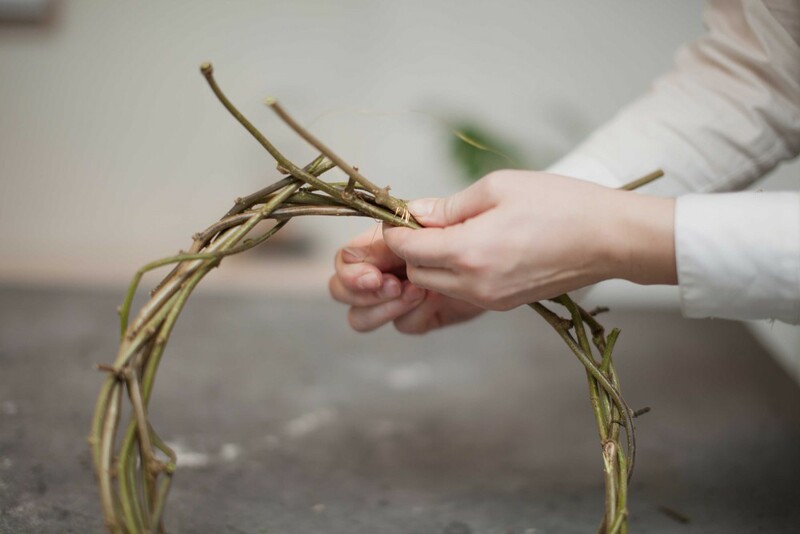 Cut away overlapping twigs so you have a nice and smooth circle. 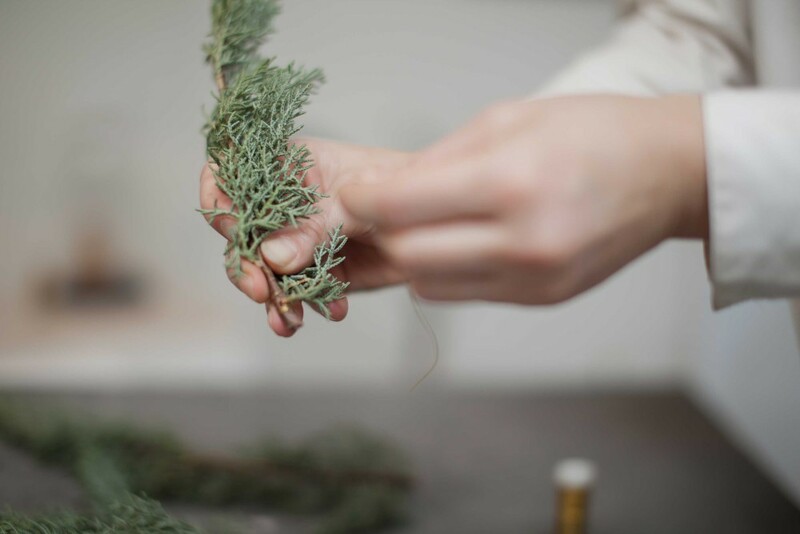 3 – Wire the evergreen to the frame, starting where it overlapped. Distribute the evergreen around the frame, leaving the top free. 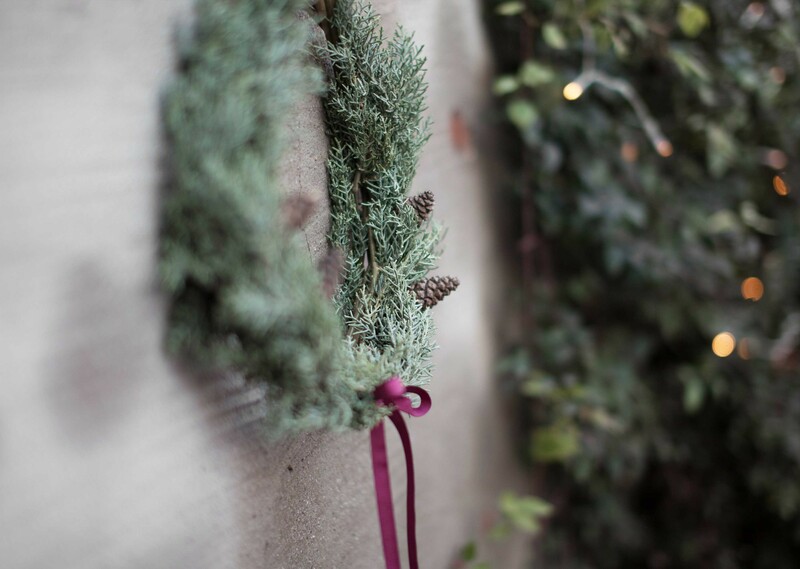 Make sure the evergreen is securely wired to the frame. 4 — Wire the end of the pinecones and place as many as you like on top of the evergreen. 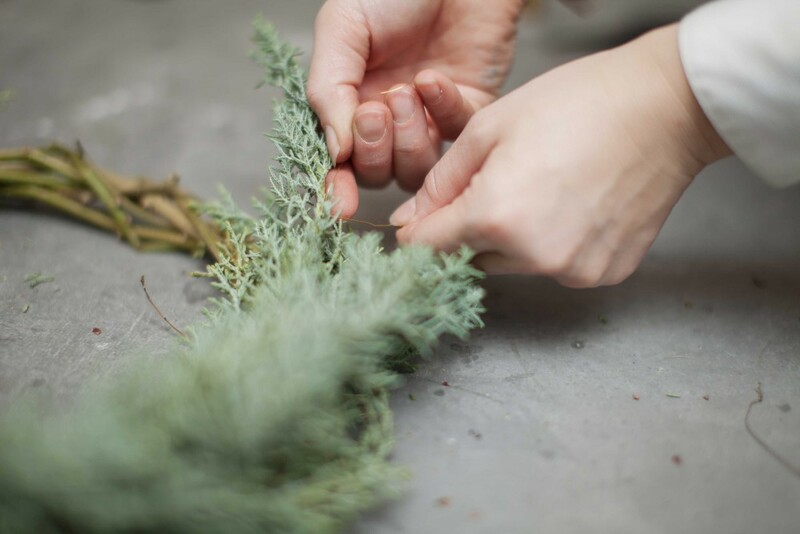 Thread the wire trough the evergreen and connect it to the frame. 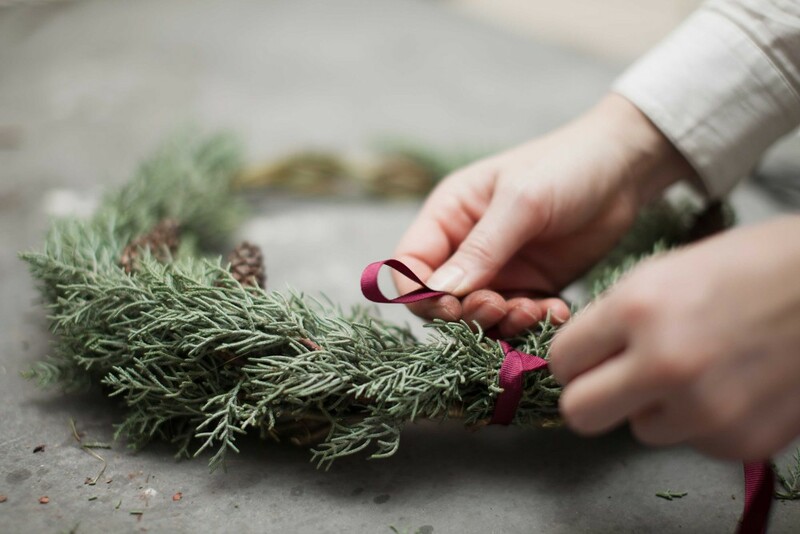 5 — Finish by tying the ribbon in a nice bow on the bottom of the wreath (where the frame overlapped). Hopefully you now have yourself a christmasy wreath along with a christmasy feeling.